Red Dead Online is finally here, so let’s take a look at how to get started in this Red Dead Online Tips and beginner's guide. Red Dead Online has started rolling out for players, and it looks set to be an awesome open world experience to get lost in. It is fairly similar to GTA Online, but there are some key differences. The first and most glaring difference is how it starts, in that it has much more of a narrative than its counterpart. You don’t get to ride off in Free Roam for some time, as you must first play through the opening. 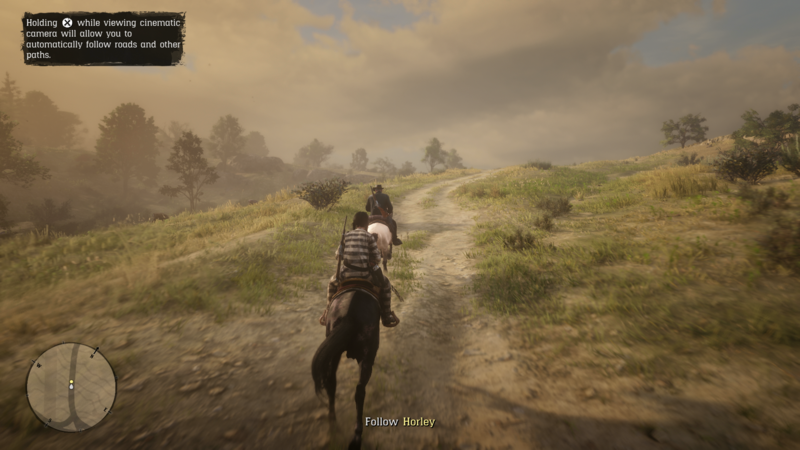 In this Red Dead Online Tips guide, we’ll be leading you through this opening hour, right up until the training wheels (stirrups?) come off and you’re thrust into the Wild West to fend for yourself. We’ll take a look at setting up Camp, getting the horse brush, and assigning your first Ability Card. Saddle up! We’ll be adding more and more Red Dead Online Guides as we spend some more time with the game. 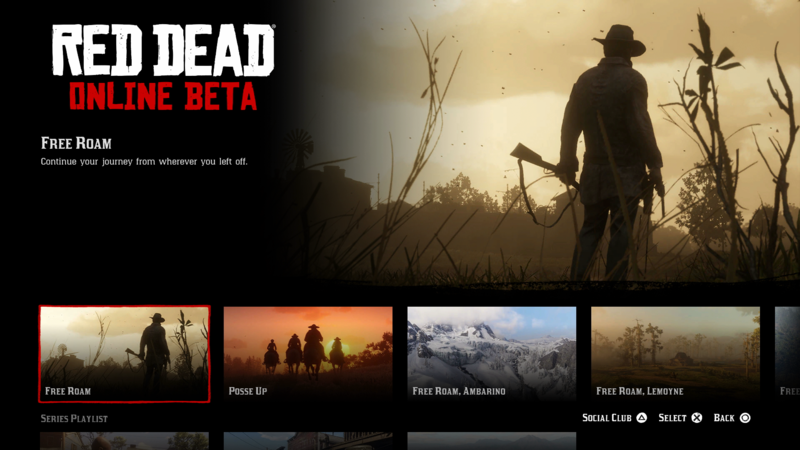 In the meantime, you can head over to our Red Dead Online Everything We Know Guide for info on the full beta schedule and more. 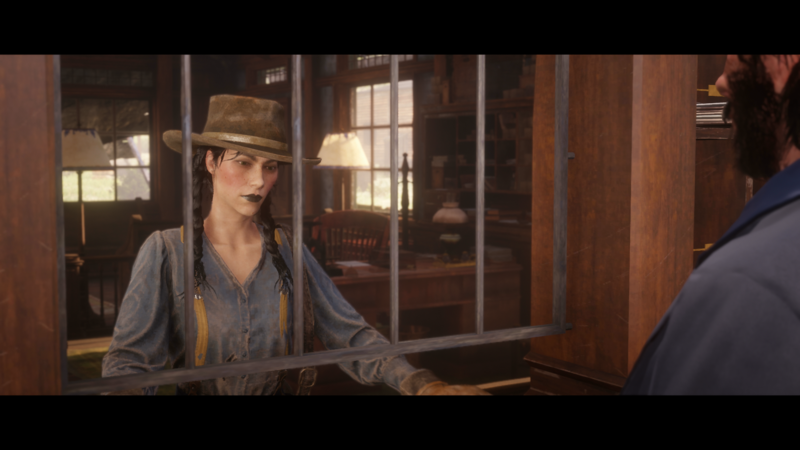 The opening hour of Red Dead Online is designed to set up the story, and lead you through creating your character. 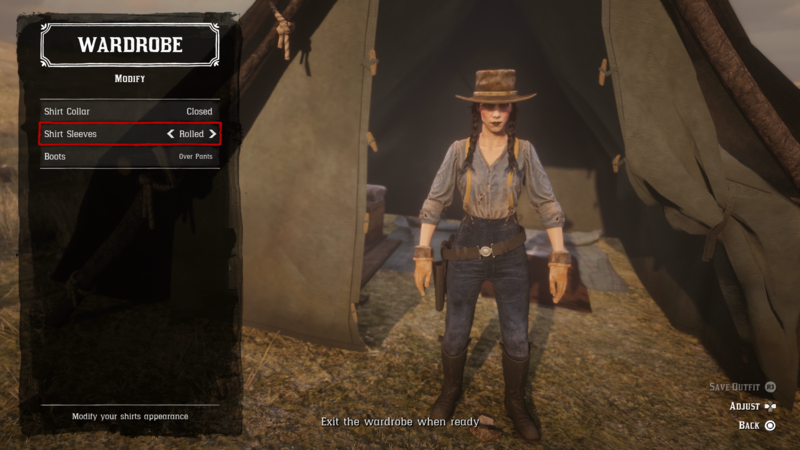 There are missions to complete, a Camp to set up, and a character creation section, so let’s take a look at how to get started. 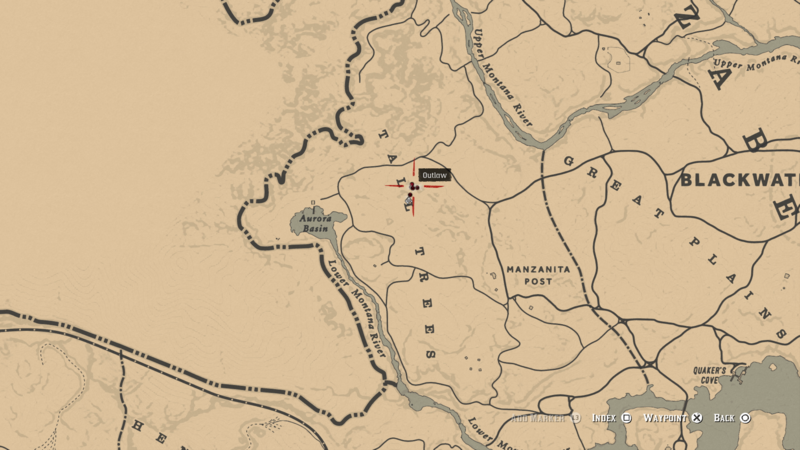 You'll also find the rest of our Red Dead Online Guides below. We'll be adding more and more as we spend more time with it. 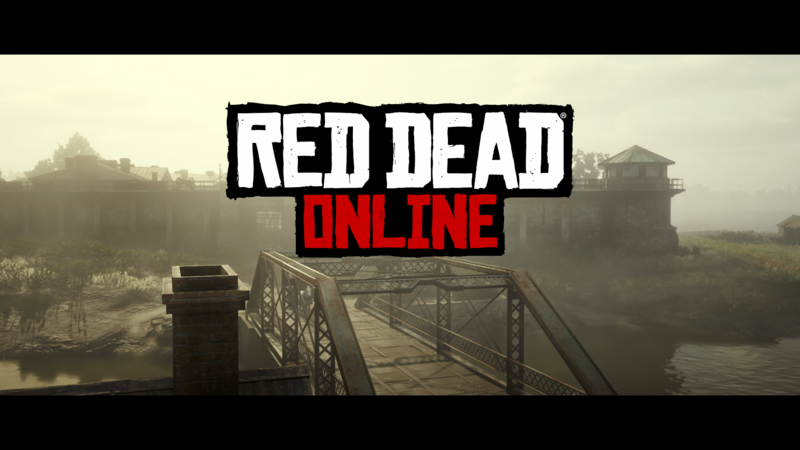 Red Dead Online Cross-Play - Can You Play Red Dead Online Across Platforms? 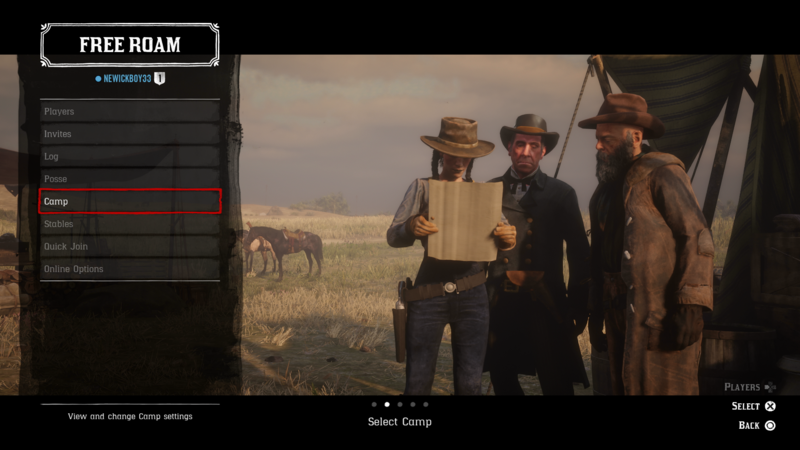 What is the Maximum Level in Red Dead Online? If you're looking for a walkthrough of the opening stages of Red Dead Online, this is exactly what we've got below. Follow these Red Dead Online tips and you'll breeze through the first hour of Red Dead Redemption 2's online mode without any trouble at all. We've got details on the character creations, assigning skills points, how to get a horse brush, and how to start free roam in Red Dead Online. The first thing you’re going to be asked to do is create your character. You can either select a preset, randomize your character, or go in and tweak each aspect of their appearance. We recommend personalizing things a bit, but it is up to you. The next thing to do is to assign your skill points. You’ll have two points to put into either Health, Stamina or Dead Eye. Use your experience in single-player to inform your choice. Do you need more health? Or are you more likely to use Dead Eye? After the intro cinematic, mount a horse and follow Horley to the camp. The same systems are at play in terms of riding, so just keep an eye on your Stamina meter while riding. Once you’ve arrived at Horley’s camp, you’ll be asked to pick out some new clothes. There’s a fair bit to choose from, so take your time and look through all of the menus. You won’t be able to redeem your bonus outfits just yet, but you can change your clothing any time later on in the game. In Red Dead Online, you’ll get your very own Camp. From it, you can cook, craft and change your outfit, and restore your cores by resting. Choose to set up your Camp, and then move on. At this point you’ll only be able to set it up in Great Plains, but can move it later for a small fee. Next on the agenda is heading to the Post Office and speaking to the Clerk. He’ll tell you to go and kill a gang, and give you the Catalogue. The Catalogue acts as a portable store, with which you can purchase everything from weapons to horses and clothing. 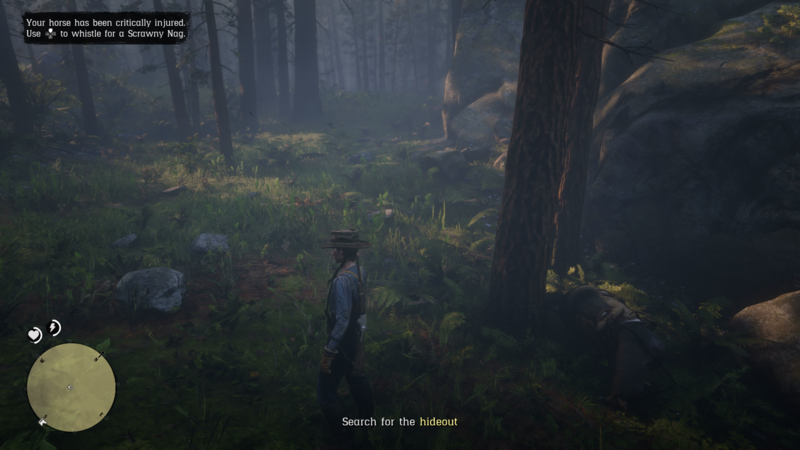 You’ll need to go to the location highlighted on the map and find the gang. We’ve shown their exact position on the map above. Kill the gang members then decide what to do with the leader. This is the first moral dilemma you’ll be faced with. You can either kill the bandit, or let him go. It’s really up to you, but keep in mind that you’ll lose honor for killing him, and will gain it for letting him go. We’re not sure as to the extent of the morality meter affecting the game, so we played it safe and let the weasel walk. The bandit is holding a treasure map, so read it. 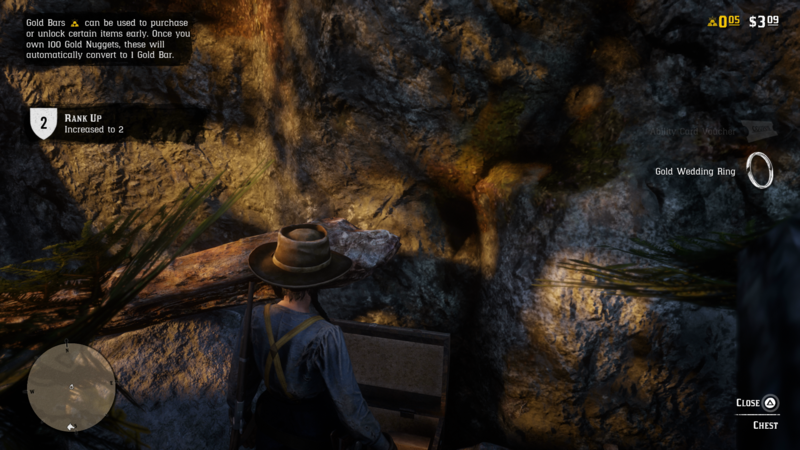 This will highlight the treasure on your map, so head over there and open the box. You’ll get an Ability Coupon from the chest, which you can redeem for an Ability Card. To do so, head into your weapon wheel with L1/LB, then press triangle/Y. From here you can pick a Dead eye perk. There are three to choose from, one that lets you heal while in Dead Eye, one that increases damage of your team while Dead Eye is active, and the Dead Eye Marker ability. Now all you need to do is complete the mission given to you by Clay Davies. You have to steal a horse and then deliver it to Clay. The horse that you steal will be given to you, so choose one you like the look of. Once the mission is complete, a brief cinematic will play and you’ll be free to explore. As we mentioned before, you have to complete an intro section before being allowed to Free Roam in Red Dead Online. It took us around an hour to get to this point, so just get through the start and you can do whatever you want. If you want to Free Roam in a specific area, head into the pause menu and select ‘online’. From here you can choose where to spawn by region, or just pick up where you left off. Bizarrely, you won’t have a Horse Brush when you start Red Dead Online. Your horse will still get dirty though and will need brushing, so you’ll need to buy a Horse Brush. To do so, open up the Catalogue by holding left on the d-pad. Head to the Horse Care section and buy the Horse Brush for $3.75. It’s a worthwhile investment, seeing as it’ll speed up your horse bonding. 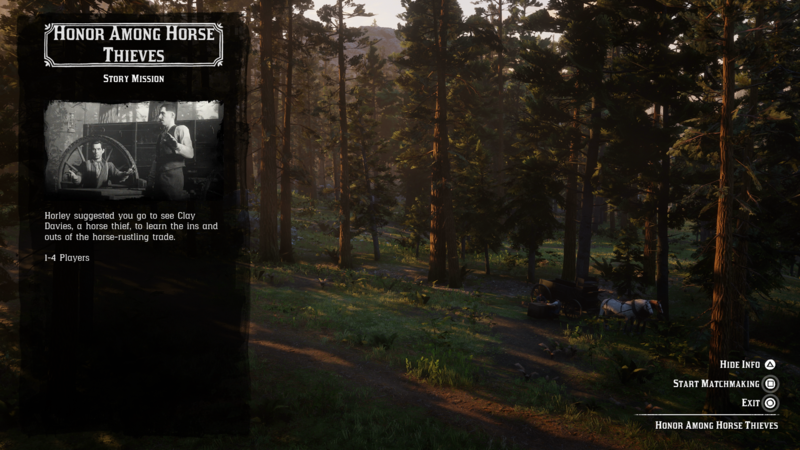 Set your horse to private - head into the online options menu and set it so that only you can ride your horse. This stops other players from stealing it, as your horse will just buck them off. Invest in Dead Eye - Dead Eye is extremely useful in Red Dead Online, predominantly for landing shots at long range. 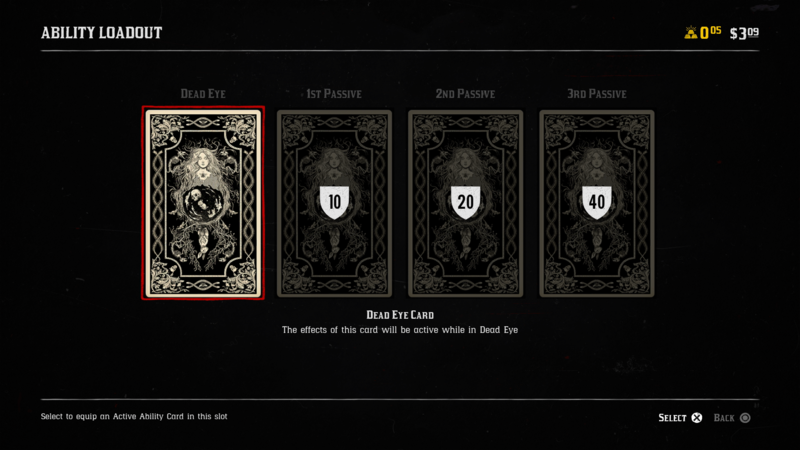 Prioritize Dead Eye ability cards early on. Insure your horse - you'll want to head to a stable and insure your horse as soon as you can afford it. It will ensure that your horse slowly regains health when it is downed, rather than dying altogether. Redeem your free bonuses - if you picked up the Special or Ultimate Edition of Red Dead 2, you'll get free stuff in Red Dead Online. Just go into the Catalogue and look for free weapons, horses, and outfits. Shooting from a stagecoach - there are some missions that require you to drive stagecoaches. You'll also need to shoot, but don't worry, there's a trick you can use. 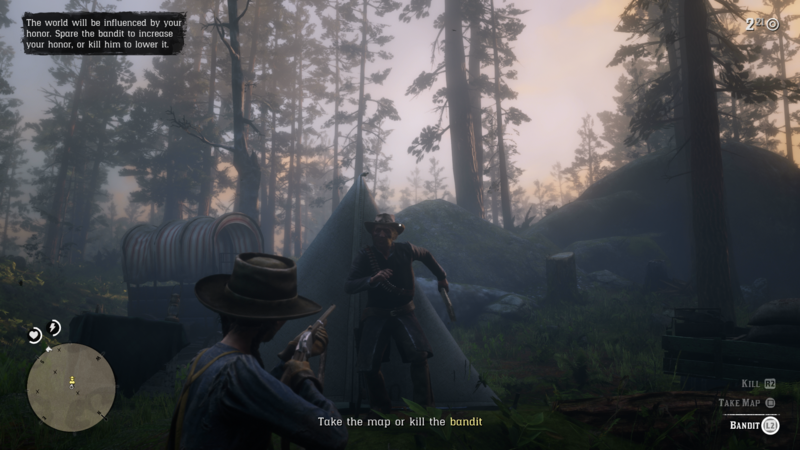 While aiming with a weapon, the stagecoach will automatically follow the highlighted route. You can buy ammo while waiting in mission lobbies. You will lose any stowed pelts when switching sessions. You need to go to the Post Office, or to your Camp, to pick up provisions you order from the Catalogue.